Will Regulators help Expand VA Telemedicine? The Veterans Affairs Department sees a future that includes a significant increase in its use of telemedicine as part of the medical services that it provides to veterans. However, current state medical licensing requirements create a roadblock that the VA would like to see removed. The VA is already a pioneer in the movement to augment patient services with the use of telehealth technologies. Last year there was a total of 2 million clinical encounters between veterans and doctors at remote locations. In fact, almost 12 percent of VA patients were involved in some kind of telemedicine treatment. The department spent $1.2 billion on such encounters, but the VA says that’s not enough. 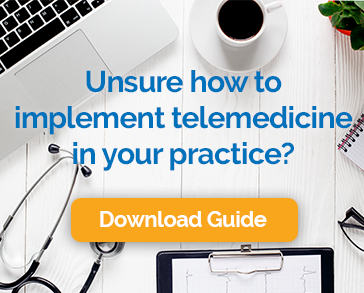 It wants to see changes to the rules that currently limit how telehealth care is provided. Currently, most telehealth encounters for veterans occur with the patient at one VA facility and the doctor at another one. That’s allowed under the rules as long as the doctor has a license in at least one state. However, if the patient is not on federal property, for example, if he or she is at their home or a non-government medical clinic, the doctor is required to be licensed in the state where the patient is located. This limits the VA’s ability to fill gaps in the availability of specialty services, especially in rural areas. It also means that patients who travel or have multiple residences (snowbirds, for example) cannot enjoy the continuity of care that comes from seeing one provider. Galpin argued that Congress could leverage the Constitution’s supremacy clause to set aside state licensing regulations so that VA doctors don’t have to be licensed in the state where the patient happens to be located at the time. The VA has no plans to arbitrarily replace in-person care with telemedicine. The use of remote visits is up to the patient and dependent on their specific needs. The department acknowledges that telehealth isn’t the right solution for every problem, but it sees it as an important part of the future of caring for its patient population. Members of the subcommittee seemed inclined to support the VA’s position, recognizing the enormous potential of providing services remotely and the potential to lower costs while maintaining high-quality care. Senator Brian Schatz of Hawaii pointed to the military community for its early successes in the field. Whether current rules are relaxed or not, the VA intends to continue to expand access to care through telemedicine. Many of the current programs are managed by local facilities that don’t involve providing care across state lines. Those programs are expected to grow.